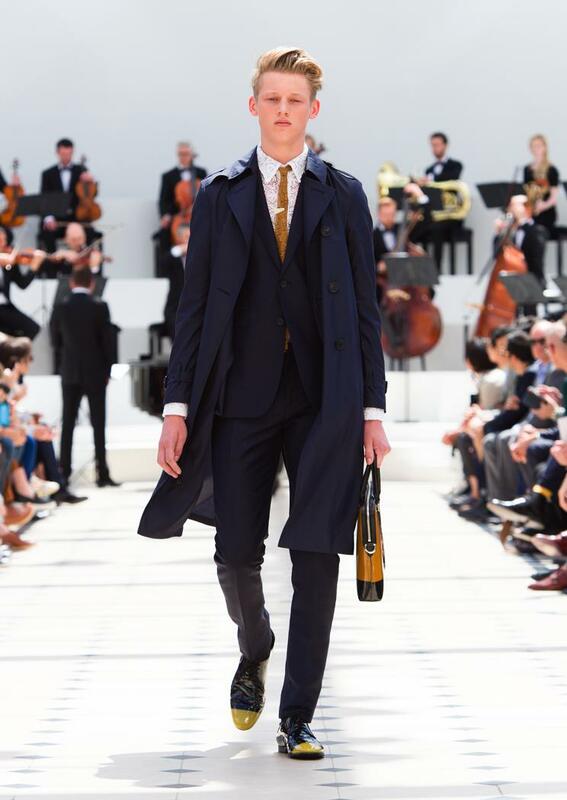 We’ve been taken on a lot of journeys since Burberry came home from Milan to London Collections: Men, all richly textured with the artistic and cultural signifiers that envelope Christopher Bailey’s psyche. That bohemian sense of hedonism has been channeled into his men’s collections the past two years with consistency, finesse, and a dedication to name-checked references from David Hockey to Bruce Chatwin. So this season surprised. In opposition to last season’s dreary setting yesterday the sun beat on Kensington Green as Bailey enacted his exploration of a truly feminine fabric. He called it Straight-Laced and washed it in shades of neutral, a delicate reformation of childlike lace to materialise as stripped back, tailored silhouettes: cotton lace transformed into short-sleeved shirts and ties made with the expertise of artisanal companies that specialise in the material. Played off against the fluidity of silk and cashmere and with the almost childlike draping of beads around necks it was a provocative balance. Strongest was the sense of femininity, fresh for one of the truest heritage houses out there, not to mention one steeped in the male-led history of British army attire and early Arctic expeditions. And of course the Trench coat. 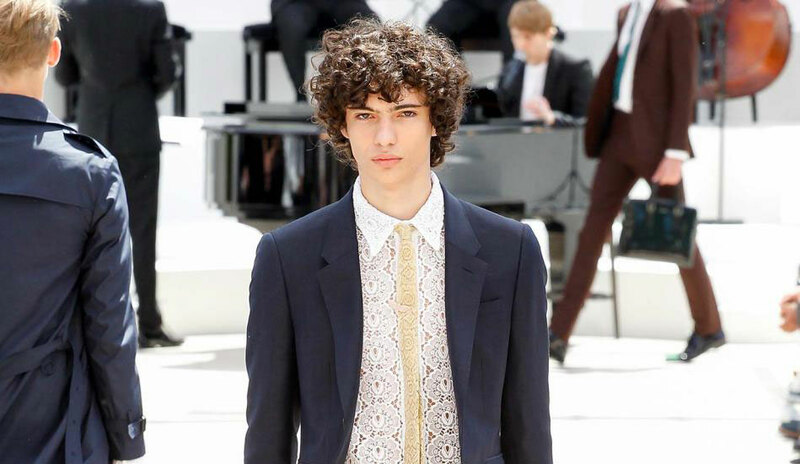 Shown here with the addition of a lace collar, Bailey reminded us that as men continue to evolve so too does their style, and Burberry will adapt in dedication to dressing them.